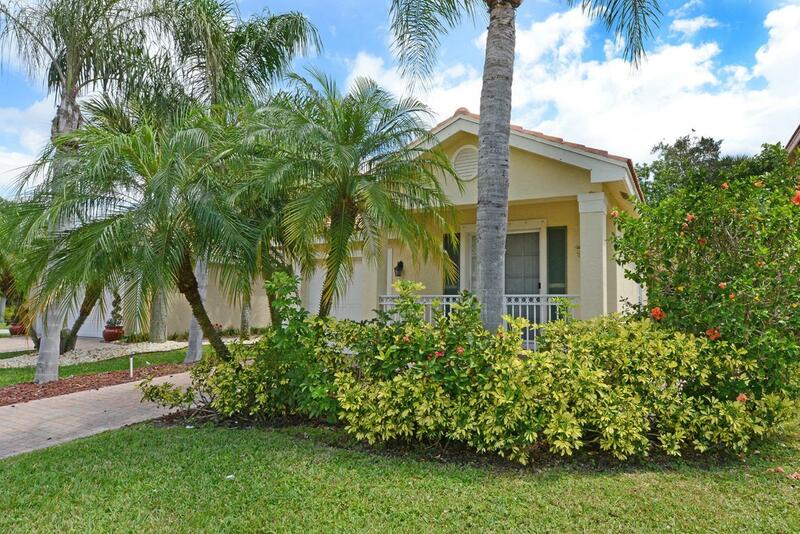 Gorgeous and cozy home in gated community of Nautica Isles! New AC-2018.Community is a gated and offers a soccer field, sand volley ball court, tennis, basketball, tot lots, (2) play grounds, splash zone for toddlers, a kiddie pool, community clubhouse, exercise room, a tropical pool ; a full resort style recreation facility. Low HOA fee includes cable with HBO and guard gate after 4:00 P.M. HOA requires a min credit score of 650 and 2 yrs ownership before renting. Nautica Isles is conveniently located just minutes from I-95, the Turnpike, Wellington, Boynton Beach, Downtown West Palm Beach, fine shopping and dining, gorgeous area beaches and Palm Beach International Airport! Come See! !